How to build a profitable niche website is a question often asked. The truth of the matter comes down to understanding exactly what a niche is. It is vitally important to know how niche marketing works before starting your first website. Whether you are building a website, writing a book, or composing an advertorial, without clear knowledge of the niche you are promoting the content is likely to become confused. This will cause the reader to be rather bewildered and unlikely to return to your publication at a later date. With that said, before attempting to commence a new site, it is important to identify exactly what is needed to produce a niche website . Or, said another way – what is it about this site that makes it a niche website? Collins Dictionary tells us that a niche is a specific area of a marketing which has its own particular requirements, customers, and products. One specialized market that comes to mind is ‘modes of transport’. The definition being ‘any vehicle that you can travel or carry goods in’. So, the specialized market ‘modes of transport’ is referred to as a large market or broad niche. This is because ‘modes of transport‘ covers a wide range of automated methods of traveling or carrying goods from one place to another. Each one of these items is a smaller, or narrower, niche within the specialized market ‘modes of transport’. If we were to Build a Niche Website we might Consider Looking at one of the Smaller, or Narrower, Niches listed above. Let’s look at the ‘Car’ niche which is identified here as a ‘specialized area within a larger market’. The larger market being ‘modes of transport‘. In searching my favorite Keyword Tool to find a suitable niche for a new website, the results for the ‘Car’ niche show that there are 464 competing websites. Therefore ‘Car’ is not an appropriate niche because competition of 464 is too great for a new comer to internet marketing to build a new website around. 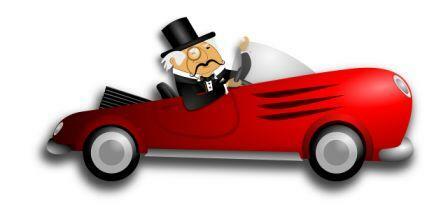 Another area we can look at within the specialized ‘Car’ niche is ‘best way to buy a new car’ . Again, the keyword tool gives the result of 155 competing websites, certainly a reduction in the number of websites for the ‘Car’ niche, but still too much competition for someone building their first niche website. Consider the niche ‘what to look for when buying a new car’ – the keyword search results for this niche show that the competition is 84 websites. With a competition of 84 websites it is possible to build a profitable niche website. Decide on a specialized niche that holds your interest. It’s not a good idea to build a website around a subject, (niche) that you have little interest in. Narrow down your search for the right niche until you find a category within the specialized market of your choice. Before finally deciding on the right niche for your website, make sure to check that the competition is low, preferably 100, or less, competing websites. Having chosen a narrow niche that you are comfortable building a website around, make sure that there are sufficient categories to write about. These categories will be the content of your website that people will be searching for. In other words, quality content in the form of articles is what you will need to be posting to your website continually, or at least until the website becomes an authority site receiving daily traffic. Choosing a niche for your first website and setting it up is a great start to earning a profitable income online. Having taken this first step of providing yourself with a basic niche website, the aim will now be to develop this site over time and encourage visitors to your website. I recommend learning more about Wealthy Affiliate and how this program can help you achieve your goals of earning income online. Wishing you all the very best with your new venture of building a profitable niche website. Your comments and questions are welcome and will be answered. Please leave them in the space provided below. I once tried to build a niche website on football boots using one of those free options that Google has put out there…it did not turn out well for me! The keyword tool and the education you mention here both look like they could help me out – are they both free for starters and can anyone sign up for them? Thanks Chris for visiting my site and leaving your questions. The Jaaxy keyword tool offers a free membership to starters for one month. During that month 30 free searches are allowed. The Wealthy Affiliate education program is free for starter members for seven days. At the completion of the first week access to WA training is limited. Both Jaaxy and Wealthy Affiliate are open to everyone. There are no age restrictions. Very clear explanation how to narrow one broad topic into a specific niche. When I was just starting out, I was confused in choosing the right narrow niche and I actually chose too broad. I had to narrow it down to one product, from home decor to decorative mirrors and I see a huge difference. Not only that it’s easier for me to create content but also I started to have better rankings as it it less competitive niche. I wish I’ve seen this post earlier. What main ways would you suggest to make a good profit out of a niche website? Thanks for a great post. Thank you for visiting my website and leaving your comment. Your experience with first choosing a broad niche is certainly not uncommon. When we start internet marketing we see the world as our oyster, so to speak. Then eventually we realize the world is not what we need, rather a tight niche is what will help us to succeed. Iâ€™m so pleased you discovered the need to narrow your niche. And what a lovely niche you chose! 1. To have a true passion for the niche being promoted. 2. To have a sound knowledge of the niche and provide great well written content that visitors to the website are able to learn from, ask questions if they wish, and make an informed decision as to whether or not they want to click on that â€˜Buy Nowâ€™ button. Thanks very much for visiting my website and leaving a comment. You are so correct when you say that some recommend choosing a niche as quickly as possible. Without having a lot of knowledge about a particular niche that will be an advantage to building a website, then it is wise to take one’s time to research quality information, and to do keyword research as well. To build an authority site takes a lot of work over a significant period of time, so giving much thought at the beginning is the wise thing to do. Thanks for a clear and detailed article about how to build a niche site. I agree with you about the importance of finding the right niche. A lot of people recommend that you chooce a niche as quickly as possible. I think you should take your time about it – the niche is the basis on which you build the site. Hi, this is an interesting text and I rather curious about the fact that you use ‘cars’ as an example of a niche. In fact I have seen some site where people write about cars. But how to monetize something like that? People do not buy cars online, like on Amazon or something similar. I know that this is not the point of your text, just curious. Thank you. Thanks for leaving a comment on my site, and thanks for questioning my use of ‘cars’ to demonstrate how to build a profitable niche. 1. I could have used any niche but the ‘car’ niche was simple to demonstrate. 2. Cars are sold online. 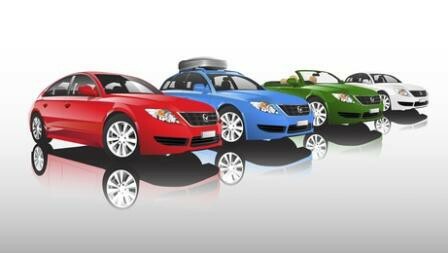 If you enter sell cars online +affiliate you will find several affiliate programs to choose from. Thank You very much for explianing more about what a niche actually and also all the facts to consider when first starting out with my site. I also find Wealthy Affiliate very intriguing, so I will look in your online income recommendation. Thanks Neil for visiting my website and leaving your comment. I am pleased that the niche marketing post was of value and I hope you will soon find the right niche that you can develop your own website around. 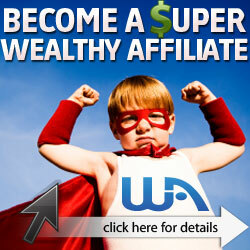 Wealthy Affiliate is certainly a great place to learn everything one needs to know about affiliate marketing. The training is the best of its kind that I have experienced over the past eight years, and the community is extremely supportive and willing to share their knowledge and experience. I really enjoyed reading your post. Your explanation of choosing a niche for a website was very helpful. Do you look at the traffic a topic is getting as well as the competition? You mention a keyword tool. Can you tell me a little more about the key word tool you are using to research the competing websites. Thanks so much for visiting my website and leaving your comment. In respect to the amount of traffic a keyword receives, I don’t worry too much about traffic. I believe the number of competing websites is more important to the success of a keyword. But even then, I always check the competition to estimate whether or not my website could rank above the competition. If the competition is mainly from large authority sites I choose not to use that specific keyword, or even very similar keywords. Returning to the subject of traffic, there certainly needs to be a reasonable amount otherwise the lack of traffic tells me that there is little interest in that niche, subject and/or keyword. To my way of thinking the amount of traffic to a keyword is a fine line and that is why I rely heavily on the keyword tool mentioned in my post. Jaaxy is the Keyword Tool I refer to in the post, and I couldn’t be without Jaaxy. It has excellent features but one of the most outstanding features I rely on is Jaaxy’s Keyword Quality Indicator which, as you do your keyword research, produces Red, Yellow or Green circles for each keyword result. I always choose to go with a keyword that has a Green indicator because that is telling me that the keyword is a good one to use in my post. I might in the future use a keyword with a Yellow indicator but I will never use a keyword with a Red indicator as the Red one tells me that this is a difficult keyword to rank. I trust Pat, that this information is helpful. Thank you Divican for your comment. I am so pleased that this article has given you the understanding of what a niche is. I look forward to visiting your websites and seeing what niche you choose, and how you develop it. Thank you for the informative web page. I am interested in earning an extra income online. However, I am finding it difficult to come up with an interesting niche. I have many interests but I am not confident I’d have the knowledge needed to create a quality website. Any suggestions? Thank you for visiting my website. It’s great to read your comment and know that you are interested in earning an income online. Creating a quality website is not difficult to do if are fortunate enough to have a plan to follow. There are many training programs offered these days for learning how to build websites and some of these programs are good, and some are not so good. It’s vitally important to be able to identify the legit programs from the scams. To help you to see just how easy it is to build a website these days you may like to learn about the program I’ve been following. This is an affiliate marketing program which offers a FREE starter membership with 2 free websites and free website hosting. If you take a look at this Free program you will be able to see just what you would need to do to build a website to help you to make money online. When you are able to discover just how simple it is to build a website through having a genuine program to follow, I’m sure you would be able to decide on one of your interests to build and develop your website around. Please let me know if you have any further questions. I’m always willing to help you. Thanks for your explanation on what a Niche is and how that can be used to create a Website. A niche is essentially like a building block that is laid down while keyword research covers over it and the flow of content begins. 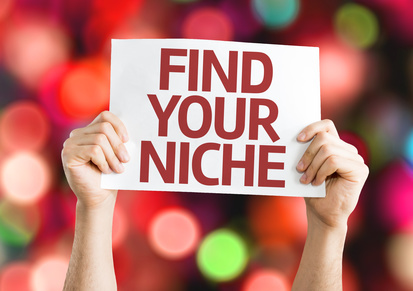 A niche is for a targeted audience, much like a passion or hobby. You are absolutely correct in you definitions of a niche. What I focus on in respect to building a website around a niche is to ensure that the niche is narrow, rather than broad. For instance, the niche dog training is broad and therefore the competition is far too great for ranking purposes. Whereas choosing a specific breed of dog, such as Labrador, is a narrow niche and has much less competition. Is it really possible to earn money with the aid of niche website? Actually I am constantly searching for legit ways to earn online but I can’t find one. It is just recently that I heard about using websites to earn some extra cash. Where have you learned all of this? I would really appreciate it if you share your thoughts about this. Thanks in advance! Thanks very much for visiting my niche website page. To answer your question – yes, if you have a niche website it will help you to earn money online, especially with affiliate marketing. There is much to be learned about affiliate marketing and it is very rewarding financially once you know how to do it correctly. You have asked where I have learned all this. Well to be honest, I spent a lot of time over a number of years trying to learn this but I was teaching myself mainly, and following some progams. But I really didn’t have much luck. Then in 2014 I was introduced to an amazing program called Wealthy Affiliate and I’ve never looked back. It is a fantastic place to learn affiliate marketing and I can assure you that it is legit. It also has a wonderful community that gives a lot of support so you never need to feel alone while building your website. Plus, a huge benefit is that it has a FREE Starter Membership and this gives plenty of time to find out whether you want to learn from this program. You can find out more about it by looking at my Wealthy Affiliate Review. I hope this helps you John and thanks again for your visit. thanks for some great information. I’m pleased that it helped you with learning about niches.